GaryMoller.com - Health, Fitness - Naturally! : Do your joints tendons and ligaments make "clunking", "popping" and "snapping" noises? Do your joints tendons and ligaments make "clunking", "popping" and "snapping" noises? hard bump just below the knee. If you come and see me about chronic joint, ligament or tendon pain, I take careful note of any sign that of joints and ligaments that audibly make cracking and popping noises, or hips that go clunk. I look for any unusual boney prominence where tendons and ligaments connect with bone, such as below the knee or the heel bone. I note any history of tendon and bone pain (Often referred to as "growing pains"), especially during childhood and adolescence. If any of these boxes have been ticked, it is possible that you have a chronic manganese deficiency. Let me explain. and even slow growth are common in people with low manganese. Tendon problems and osteoporosis, including bowing bones, are common in the presence of a manganese deficiency. This is often confused with vitamin D deficiency. Manganese deficiency can lead to cartilage and connective tissue disorders including Osgood-Schlatters and Perthes Disease. (also known as tibial tubercle apophyseal traction injury and epiphysitis of the tibular tubercle) is an irritation of the big tendon of the knee where it attaches to the tibia bone. It is characterized by painful lumps just below the and is most often seen in young adolescents. It may also manifest as sore Achilles tendons, elbow ligament pain. An example of very low manganese (Mn) levels. 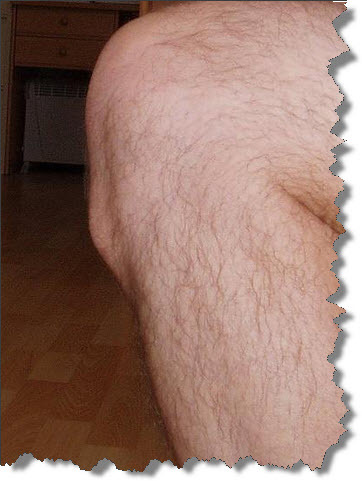 is a nasty condition in children characterized by a temporary loss of blood supply to the hip. Without an adequate blood supply, the rounded head of the femur (the " ball " of the " ball and socket " joint of the hip) dies. The area becomes intensely inflamed and irritated. Such as PKU and disturbances of carbohydrate and lipid metabolism are associated with manganese deficiency. Manganese may be involved with insulin formation and therefore a factor in diabetes. Are athletes low in manganese? I have done over 1,000 Hair Tissue Mineral Analyses on active people and I can't recall a single one with high levels of manganese. The majority are low. It appears that athletes need more manganese than usual. This may be due to the high demand during exercise for tissue repair and metabolism. A manganese overload is rare and may lead to degeneration of the neurons and abnormalities of the neurotransmitters. Anorexia, insomnia, muscle aches and pains, mental excitement, hallucinations, unaccountable laughter, impaired memory and compulsive actions. Speech disorders, clumsy movements, gait abnormalities, poor balance, hyperactive reflexes and fine tremors. Rigidity, spasmodic laughter, and other symptoms associated with Parkinson's. Excess manganese is implicated in the condition known as "tardive dyskinesia" (TD), a disorder associated with abnormal twitches or movements. TD is often associated with the use of an anti-psychotic drug, Chlorpromazine, which apparently causes an accumulation of manganese in the brain. Reversing toxicity is done by firstly identifying any sources of excess manganese exposure in the environment and giving vitamins and minerals which are antagonist of manganese and therefore help dissipate the excess from the body. If manganese levels are found to be low, one of the safest sources of additional dietary manganese is a scoop of my Super Smoothie each day. 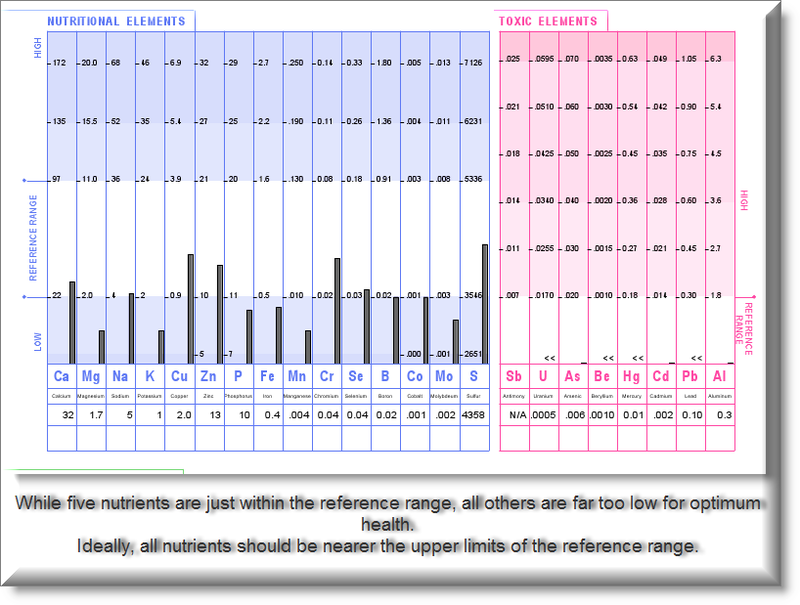 If you have any doubts about whether you have high or low manganese, please contact me about getting your levels tested. Its always best to know exactly what your status is with these matters and then go from there.